The Provo River Delta Restoration Project will create a more natural lower Provo River ecosystem and help recover the endangered June sucker that depends on it. Restoring the delta will also provide the community with a unique recreational area and protected open space, and will help ensure that important water projects link to June sucker recovery stay on track. 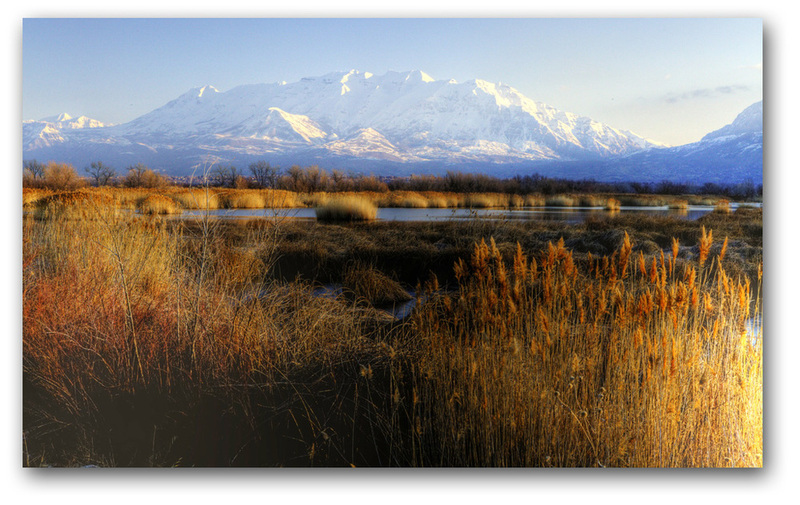 The Provo River Delta project involves diverting most of the last reach of lower Provo River’s ﬂow north of its current location into a constructed system of braided waterways and wetlands that connect with Utah Lake. This will create habitat critical to the survival of the young June sucker hatched in the upstream portions of the lower Provo River. The old channel will continue to receive stream ﬂow and will maintain a constant water elevation year-round. An aeration system will be installed to improve water quality, aesthetics and odor. Access to this channel will be made easier and safer and trailheads with parking and non-motorized boat access will be constructed. Additional trails and two observation towers will be constructed around the new delta area so the public can enjoy the beauty of Utah Lake and the restored delta. Acquisition of property needed for the Provo River Delta Project is proceeding. Land has been acquired from four of the ﬁve landowners whose property is needed for the project. We’re currently in negotiations to acquire the last and largest private ownership. Supplemental land was also acquired in 2017, adjacent to the west end of Boat Harbor Drive. A map of the land acquisition status can be found on our Project Maps page. We are well into our second year of monitoring avian abundance and movement at twenty locations in and around the Provo River Delta project area. We began this study in April 2017, with support from Brigham Young University’s Department of Plant and Wildlife Sciences and under supervision of a certiﬁed airport wildlife biologist. The study will provide baseline information of the avian community using the project area, will help us identify pre-existing bird/aircraft strike risk, and will help us better understand how our project may influence these factors and what mitigation would be necessary to reduce this risk. The first year of data collection showed a total of approximately 310,000 bird observations. Forty-eight percent (48%) of the total bird observations occurred at just five of the twenty monitoring locations. The first year of data is summarized in the Bird Monitoring & Movement Study Story Map and Charts. Since last spring, design efforts have focused primarily on collecting ﬁeld data that will be used to reﬁne ﬁnal designs and inform construction sequencing plans. Feld work primarily has consisted of geotechnical investigations and soil testing to get a better understanding of soil types and textures present in the project area. The following is a short video describing our ﬁeldwork. Final project designs will be completed once ﬁeld data has been analyzed and all land needed for the project is acquired. Utah Lake State Park, in partnership with Utah County, Utah Lake Commission, the Mitigation Commission, Provo City, and Utah Division of Forestry Fire and State Lands, is constructing a new trailhead parking area just east of the State Park entrance. When complete, the trailhead will include parking, a restroom, and trail and river access. Design work is underway for the new trailhead and park that will be built on the south side of Provo River near Lakeshore Drive. With funding provided through the Provo River Delta Project, Provo City Parks and Recreation Department hired Blu Line Designs to prepare designs and construction documents for the park. Blu Line has begun developing initial concept sketches, and design input meetings will be scheduled this fall and winter. The Delta Gateway Park will provide access to existing and planned trails and will include horse trailer parking, interpretive exhibits, and play areas, as well as other amenities. To address concerns that the Provo River Delta Project may increase mosquito numbers and the risk of West Nile Virus (WNV), we began funding two mosquito monitoring sites within the project area in 2013. These sites were added to the 32 adult mosquito monitoring sites maintained by Utah County Health Department Mosquito Abatement. Adult mosquito monitoring is conducted to monitor mosquito numbers, species, and presence of disease, the results of which are used to determine where and when to conduct treatment. CO2 traps are set out weekly, the mosquitos identiﬁed, counted and tested for WNV activity. When trapping data indicates increasing numbers and threat of WNV, ground Ultra Low Volume (ULV) fogging is conducted. When vector mosquito numbers reach a predetermined threshold, or WNV has been detected, the decision to air spray is made by Utah County mosquito abatement staff and the Health Department Director. (A mosquito is considered a vector if she - only female mosquitos take a blood meal - can become infected with and transmit a pathogen (such as a virus) during blood feeding.) Source: Utah County Mosquito Abatement website. This year, Utah County Mosquito Abatement has conducted mosquito control in the Delta Project area by ULV fogging on the ground, and aerial spraying. These treatments are conducted in the evenings, typically from 9 pm to 1 am, when mosquitoes are active.